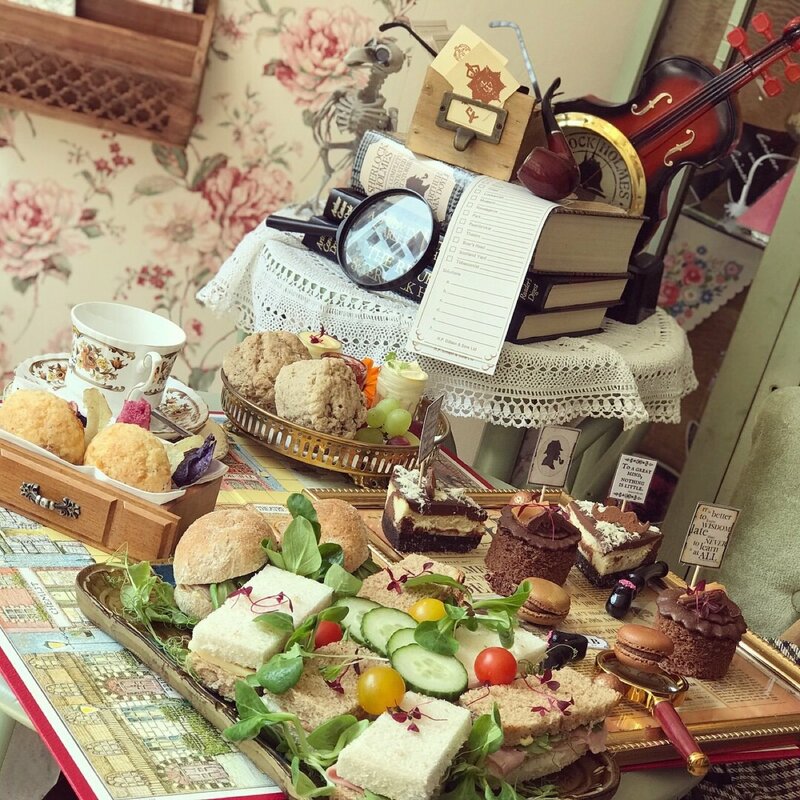 The Sherlock Holmes Themed Afternoon Tea is appearing at one of our favourite tea rooms in Colchester, Essex. Cardamon Tea Lounge & Coffee Shop host themed afternoon teas, each month brings a new theme. 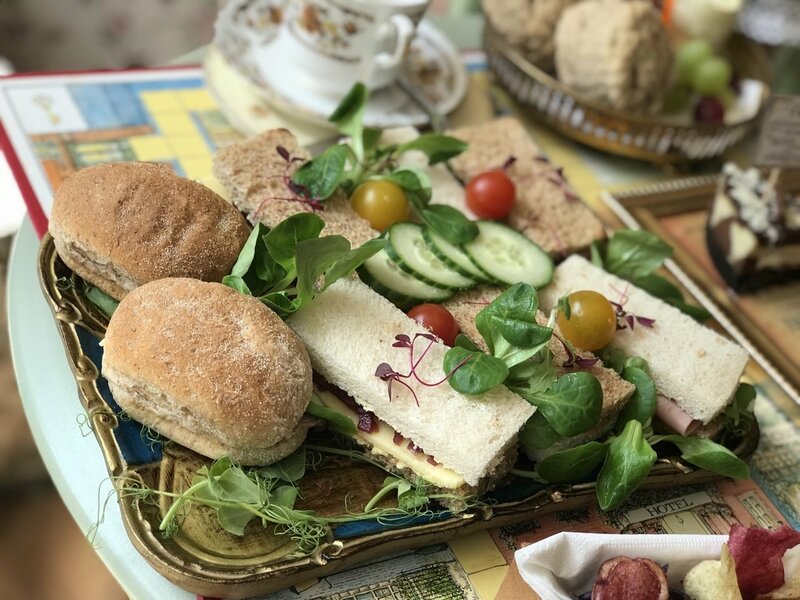 Running for the month of June 2018 and absolutely perfect for Fathers Day is the Sherlock Holmes Themed Afternoon Tea! Elementary my Dear Watson! Cardamon Tea Lounge offer over 50 different tea variations, so there is something for everyone. My personal favourite is Karak Chai, a wonderful blend of Assam, cardamon and made with condensed milk. 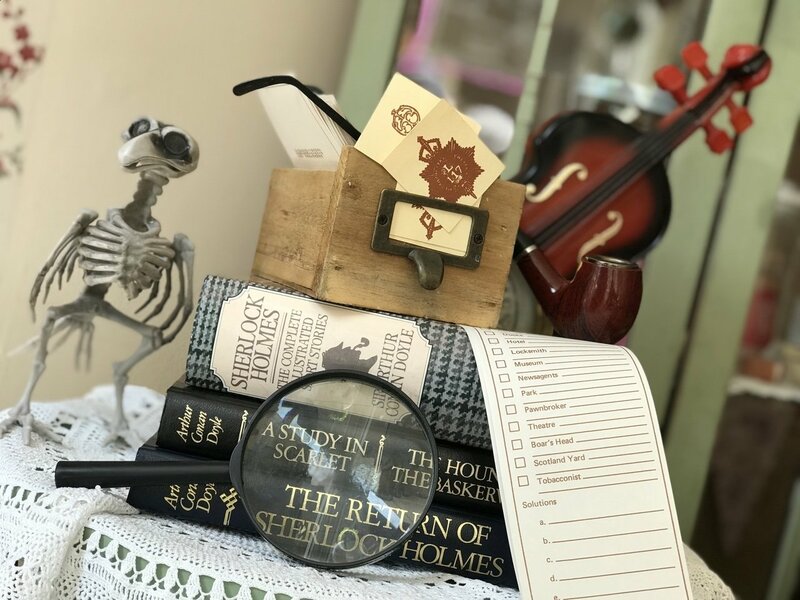 The Sherlock Holmes afternoon was a real treat, served upon a board game with lots of fun props, magnifying glass, hat, pipe etc. It really looked the part. ‘A game is afoot’ sandwiches were served upon a gold tray. A delicious selection consisting of a roast beef and egg mayonnaise mini roll (which was amazing) and then cheddar cheese & caramelised onion, ham & mustard and lastly smoked salmon and cream cheese. Served warm were cheese and bacon mini rolls, which were almost like a scone with a soft and cheesy centre. These were simply diving and shouldn’t be missed! The sweets arrived and they did not disappoint! 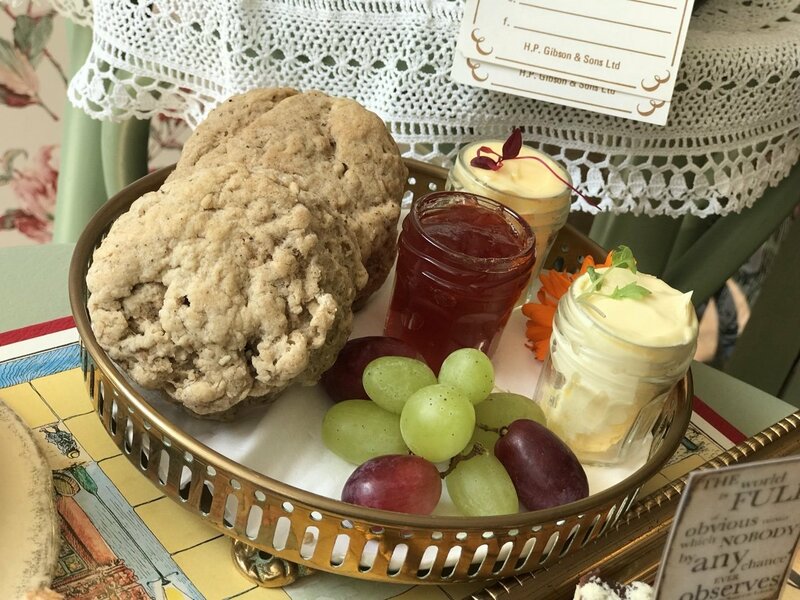 The spiced scones were again served warm with butter, clotted cream and jam. They had a great flavour! 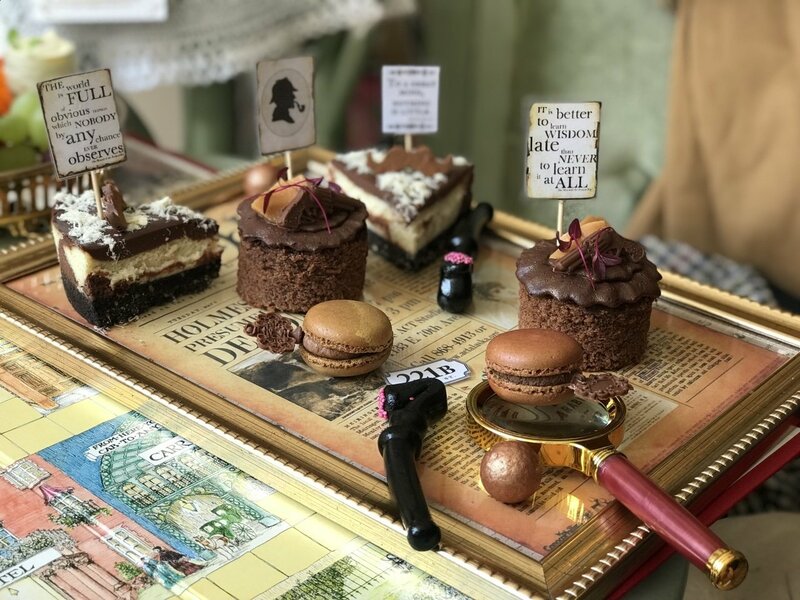 ‘A logical conclusion’ cakes were beautifully displayed on a framed newspaper print, complete with magnifying glass and liquorice pipe! A real treat for any chocolate lovers out there. A chocolate cheesecake, salted caramel brownie and the most delicious macaroon that melted in the mouth! The cakes were a wonderful conclusion to the afternoon tea, I enjoyed every bite! 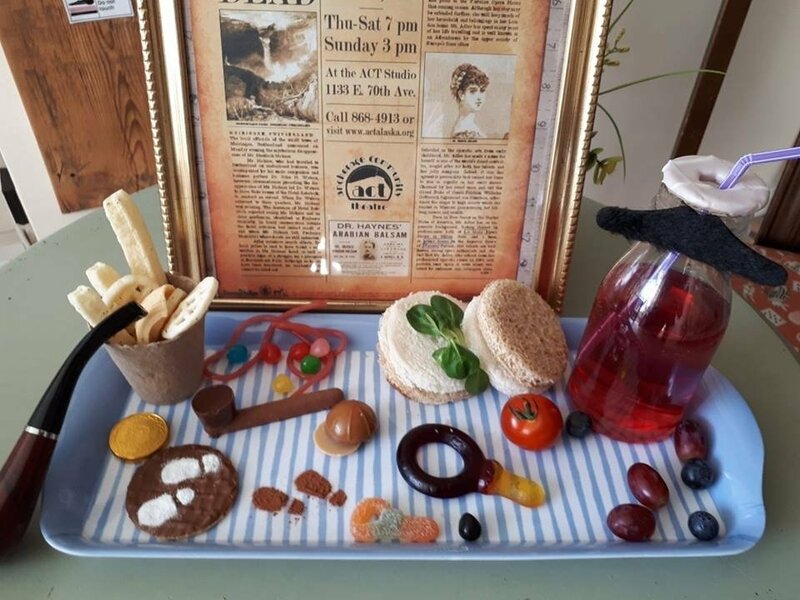 A children’s version of the Sherlock Holmes themed afternoon tea is also available. They are always so well themed with a mix of sweet and savoury and served with a drink. The children always love them! A bargain for £6.50 per child. 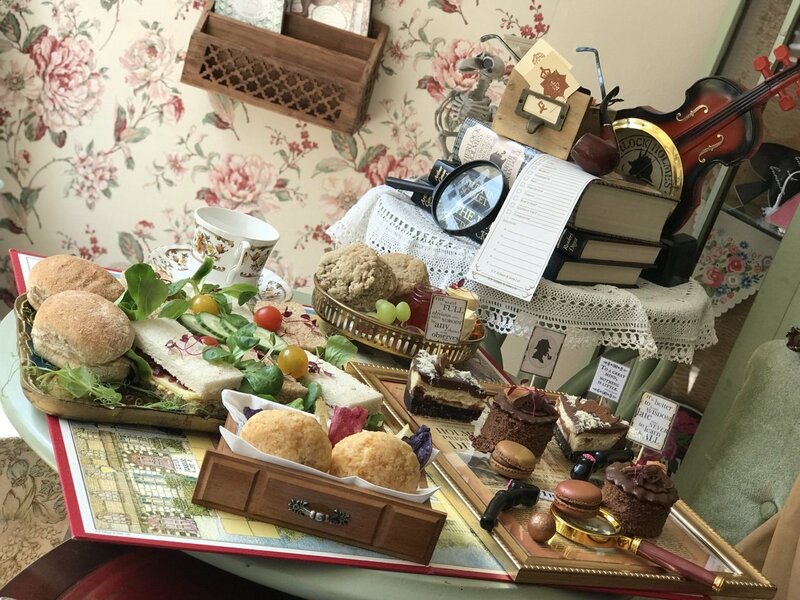 The Sherlock Holmes Themed Afternoon Tea is £20 per head and available to book for the month of June 2018 at the Cardamon Tea Lounge & Shop. Pop over to their website or Facebook page to book or for further information. Thank you for reading ‘Sherlock Holmes Afternoon Tea’. Written in collaboration with Cardamon Tea Lounge, all views and opinions are my own. Wow that’s brilliant. I’d love it. Glad it didn’t disappoint. I loved it all! Was a real treat!